Once again, you never know where or when a vintage snowmobile will pop up. A few weeks ago, I was returning to the office after lunch and five doors down the street, here was a pickup truck sitting in a neighbours driveway with a nice looking John Deere snowmobile strapped into the truck box. 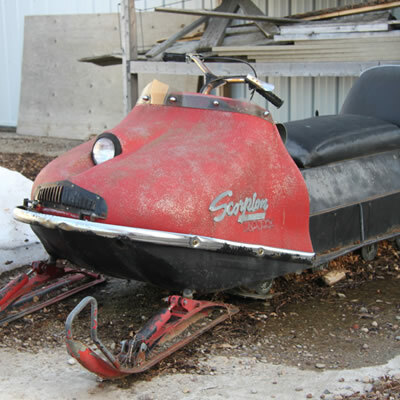 This, of course, prompted a quick stop and chat with the proud new owner of this vintage snowmobile. Turns out the fellow collects and refurbishes old snowmobiles as a hobby, he was just happened to be visiting his daughter-in-law in town. 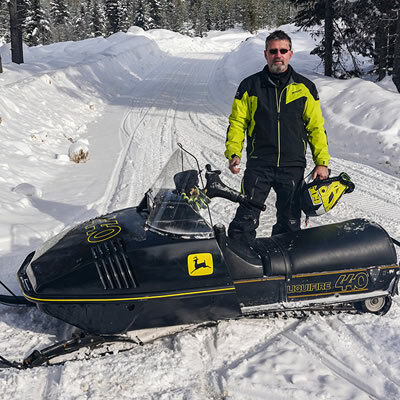 Talking about John Deere snowmobiles, John Deere had a short but rich legacy in the snowmobile industry. They produced machines from 1971 to 1982 – though through an agreement with Polaris, the “green machines” continued to be sold until 1984 or until inventory ran out. 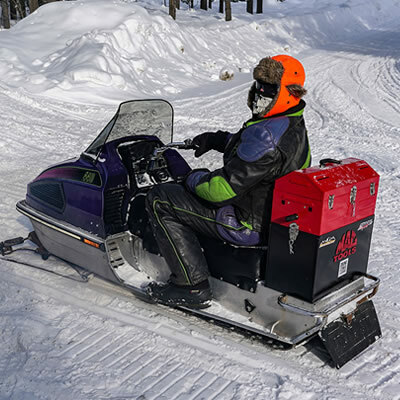 Spurred on by the 1970’s boom in snowmobiles, the venerable farm equipment manufacturer, John Deere, jumped on the bandwagon to produce their own line up of snowmobile. Colour? JD green, of course. It is said the John Deere dealers were excited to have a new product line to sell and service in the quieter winter months when farming and agriculture dropped off. 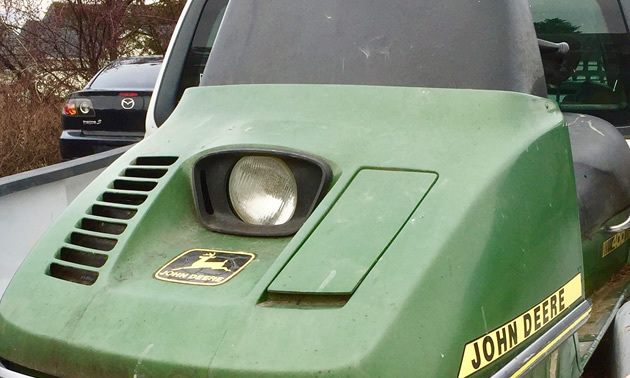 Today, the JD vintage “green machines” are increasingly popular with old sled enthusiasts and it’s not uncommon to see many of them restored to showroom condition – and featured front and center at Vintage Shows throughout the snowbelt.